From raising pet to keeping an eye on what your friends are up to, Apps have come a long way. You can genuinely perceive them as great friends. They not only spare you from the horror of boring companies but also act like the daddy-rescuer many times. Of course life without Apps also existed, but with Apps, life is way cooler, way smarter and way better. But now with plethora of options coming handy in the Google store, what becomes challenging is to locate the correct app- the app that makes sense in your fast paced life and fits in it appropriately. Scoring user rating 10, Pixuru is for you if you are passionate about high quality wall art. It intelligently uses your smartphone images and then convert them into the sketch or picture of your like. With this App, you can order your best Android image on canvas, metal, wood or print just from anywhere you are located in the world. Pixuru takes wall art to another level because each of its wall art is tailor fit for your requirement. Adding to all of it is the professionalism of the App. Pixuru does not disappoint you. An addition of the Google world in July 2013, BitTorrent Sync is absolutely fantabulous. This new upgraded version allows you to sync unlimited number of files and folders of any size across all your trusted devices. Adding to that, this App gives you access to all your synced folders whenever, wherever. BitTorrent Sync also introduced a new mobile to mobile sharing feature which allows you to send your photos and videos to your friends smoothly. Now available for Windows, iOS, Linux, Mac and Android, go BitTorrent. Interestingly different, Locket is an App that pays you for letting it display ads on your phone. It is for free and once downloaded, locket would flash ads on your home screen. You can open them with the swipe of your finger and yet not face any problem while unlocking your phone. Adding to that, you can earn more than hundred dollars a year just through the optimum use of this App. If just knowing the name of the one calling you is not enough, Google World takes you another step high. Mobile Number Locator enables you to locate from which state/ Telecom operator someone is calling. It works absolutely fantastic without internet and is implemented with Google 3D maps. It can search any STD code form India with Auto complete suggestions and can help you to find ISD code from world. So basically with Mobile Number Locator, you have all useful codes in your pocket. Unlike pattern, pin, touch, etc. Sparky Lock Screen is bound to change your perception towards Lock Screen forever. Made out of pure simplicity, the App is neatly crafted and very user friendly. Goggle World having developed some of the most creative and fantastic lock screens, Sparky is quite eye-catchy and attention gripping. Download it for few bucks and personalize to get a fantabulous security for your handheld. Often times you must have struggled to access your necessary tab right from the home screen itself. It does get difficult when you need to go through layers of screens in order to reach the tab of your choice but do not worry now if you had not purchased that expensive handheld which would have offered you multi window. Now your smart phone is also Multi Window enabled. How? Download the App and have one click accessibility. Select apps which you want to use during enjoying other Apps and also have the freedom to customize various themes according to your mood and taste. If finding the right SMS in the right time has always been a task for you, SMS Collections is just what you need. With 75,000 SMS-es in it, now you can send the apt one apt the apt time to the person you want to. Categorised under sections like Anniversary Quotes, Birthday wishes, Adult jokes, Cool SMS, Flirty SMS, etc. SMS Collections is the answer for every occasion. All you need is working GPRS connection to send SMS. 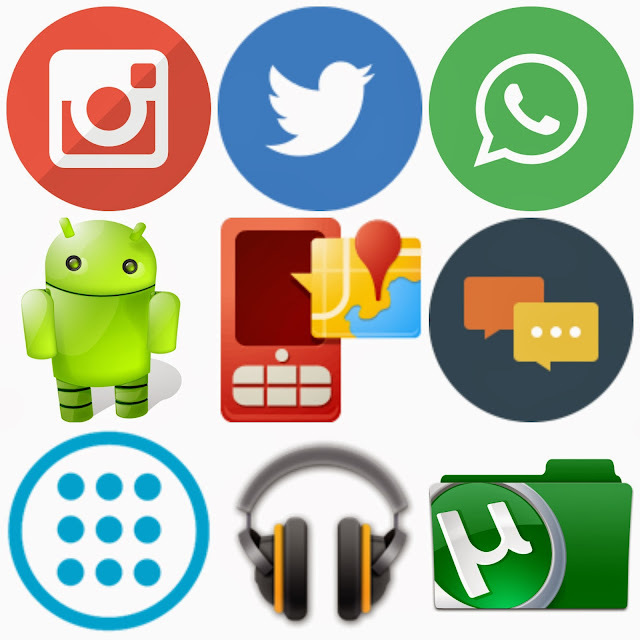 You can also share SMS via lots of social apps. Coming free, Textrand is the coolest way to text random people, make friends and stay in touch with them. Your username is your Textrand identity, and not your phone number, so you can keep complete control of your privacy. iOS as well as other smartphone Os has no ability to change the stock keyword except Android. It is the best feature considered among all. For this purpose, Swiftkey is the Android app that is use to replace the stock keyboard. It is one of the finest third party apps that is very responsive and accurate typing system. It is defined in such a way that it can understand the normally vocabulary that you use in your daily life. This app is also available in different languages rather than English and the app can be easily synced in all the Android devices. Tasker app has also a wide range of useful functions. This app allows you to perform a bunch of tasks simultaneously. For example once you plug in headphones in your mobile device then through this app, the music is automatically started. One more example is that during your working hours, this app can automatically power down your device or make it silent. You can also use this Tasker with a normal mobile phone but if you want to enable more features of this app then you should be a rooted smartphone. ES File Explorer is basically an app that is used to view the file menu in the smartphone. This app allows you to navigate the files and folders of your phones. You can perform and execute different operations such as cut, copy, paste and delete files with the help of this app. According to the developers, it is the most ample file management app that is highly trusted by the users worldwide. This app works as a recorder that records whatever you are doing in your life. When you use it then it records all the things around you do. For example the locations in which you are currently present or go somewhere, the people you contact, the music you listen, the posts you share on social networks, etc. The benefit is that you can check anytime that what specific task you performed. So, smartphone users widely use this app to know about the details of tasks they perform on daily basis. Airdroid is basically considered as a remote desktop app for Android devices. It provides you the access to your Android phone from your PC. By using this app, you can wirelessly transfer any file/folder from your phone to the computer or from computer to your phone. Even you can install and uninstall different apps right from the browsers. Through Airdroid, you can also eliminate the data from your phone in such a case that you lost it. This is a guest article contributed by Ajeet Sharma & Jeff Marlon. Ajit Sharma who works for IndianCoupons.com - a coupon & online shopping site provide android apps, mobile discount coupons for online shoppers. Jeff Marlon is a Digital Marketing Analyst in Coder Avenue, a leading IT company that offers mobile, web and desktop software solutions. With over 7 years of experience in digital marketing, Jeff is serving the worldwide clients through extensive iPhone/iPad/Android/Windows/Facebook Application Development, Game Development as well as software solutions such as ERP, CMS, MAC and many more. Click here to know more about Coder Avenue or join our Facebook page.